The location was in the drive entrance to a very nice hotel in Springfield, Virginia. The "Take it!" 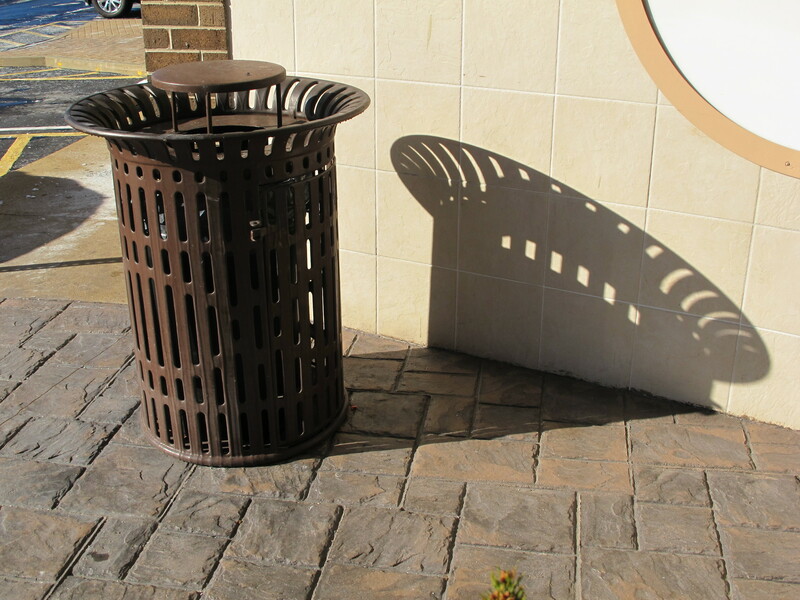 came from my quick view of the shadow cast upon the wall from the trash refuse receptacle. There was just something about how the angle of the sun had influenced the image of the shadow upper edge as a circle on its side. The further definition given to the shadow with the light slipping through the spaces between the upright strips of metal on the receptacle added a measure of cool to the image. 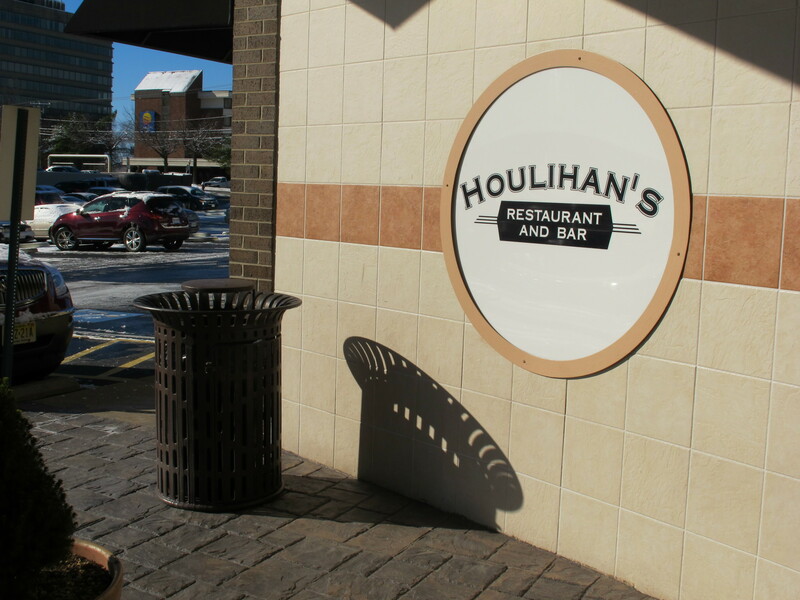 What took a moment to branch out and include - was the circle outline of the sign for a restaurant that is within the hotel. This added circle which was not in shadow form just seemed to be the final touch, an almost last bounce for the game of "catch that circle." The After Take: Everyone seemed to like this on the edge of strange set of photos. A few even agreed with me - that it almost looked like the sign had been projected up onto its position by the first shadow, which could have been the projector. This was one more example of how I have to keep reminding myself to look at both the surface of what I am seeing and also to try to see if there is anything deeper. Sometimes I take a number of pictures of a subject and its environment so that I can have the opportunity later to study the images to see if I can find any other angle or tangent for enhancement of the story. Life is ever so good. Thanks for taking a moment to share this with me. The shadow looks like a UFO. 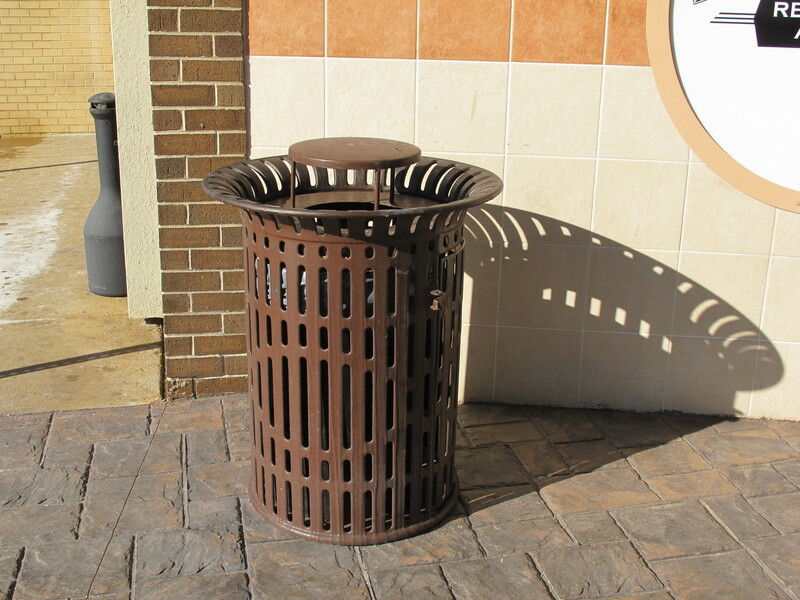 I remember reading an article one time that said a lot of these public trash cans have open slits in the sides like this one so there is a constant flow of air. Reducing the chance of stagnation. Looks like it was a cold day! I can see the snow in the background.